While in Paris, Emilie and I went to the Madeleine Vionnet exhibition. Unfortunately photos were not allowed... Apparently, Madeleine Vionnet made day dresses, because she had to, but her creativity went into the evening dresses. Creativity and techniques. They are gorgeous! And many of them would be a hit right now. I really loved the exhibition. and we ended the day by watching the Eiffel Tower show. I tried to make a video but you'll have a better idea here. Looks like a nice day out! Too bad the weather isn't nicer at the moment. In answer to your question of yesterday... Tama-Chan had morning sickness just once! Thanks for visiting our blog in the Perche. What a fun weekend. I too like the Christmas lights. It is good to see that the Americans aren't the only ones into commercialism. Loving the boots. Thanks for the taste of Paris. Those lights look spectactular! What a gorgeous visit you had! Funny, we had the same though about the boots! Have a nice weekend. Thank you for the kind comment. 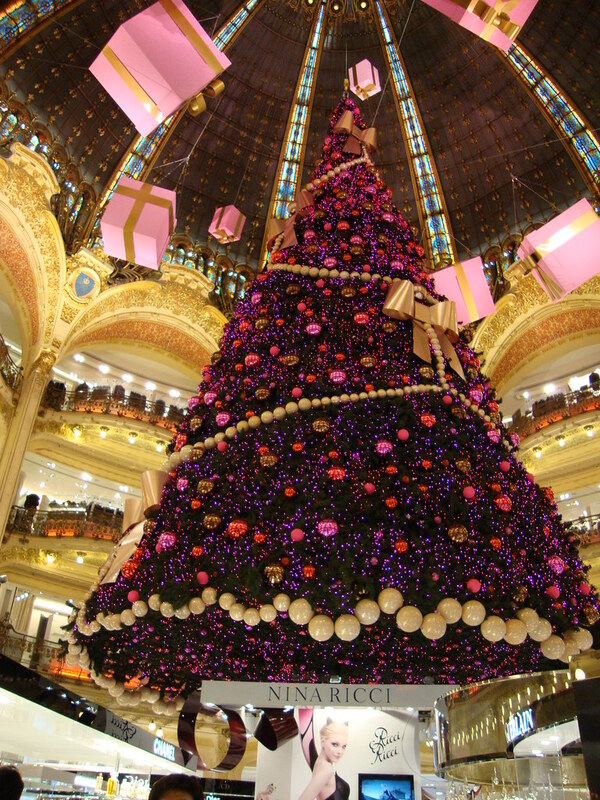 Your picture of the Galeries Lafayette brought back a memory of the first time I saw lights in trees for Christmas. 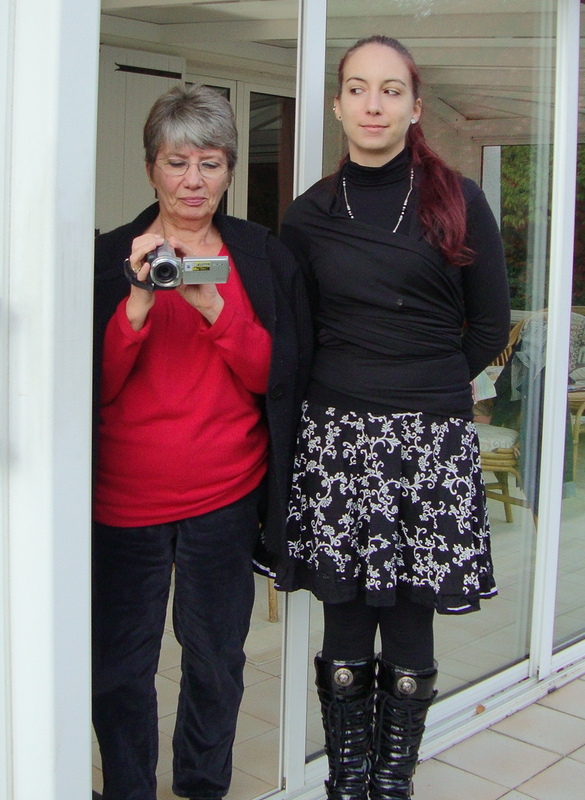 We lived in Paris for a short time in the 60'. Happy days. I had to google Madeleine Vionnet to see what her evening creations looked like. Wow. Some really beautiful stuff. Such a great weekend! And yes...Christmas seems to to have come early here in European cities. but that's okay...it's exciting and fun and a happy time. The SMELLS are awesome too! I only went to Paris once about 5 years ago and we went to Gallerie lafayette..it was amazing, the building and the goods.